Victoria Jackson won the title of 2015 Western States Ranch Rodeo Association Women’s Steer Stopping World Champion in Winnemucca, Nevada at the WSRRA World Finals Rodeo this past November. This is her second year of winning the event. Victoria, at 31 years old and single at this time, is a great example and inspiration for other ranch ropers. 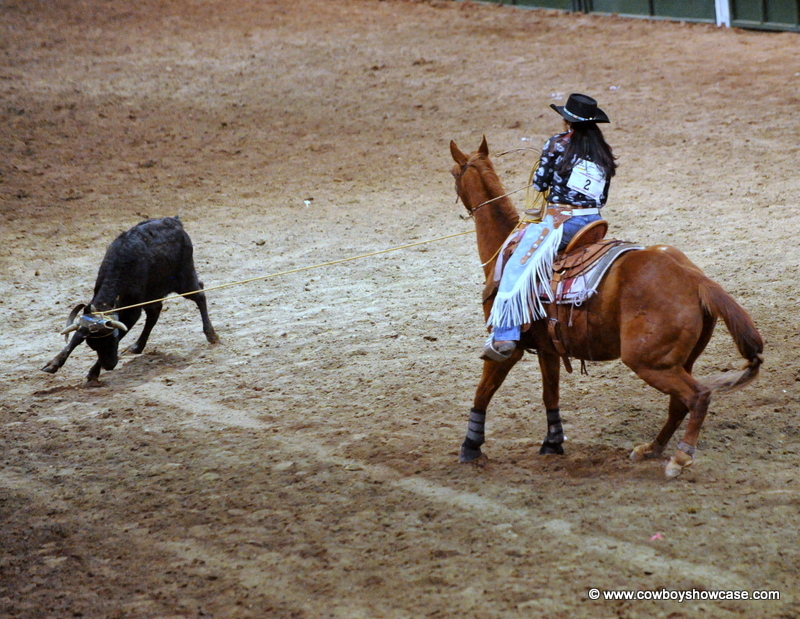 Victoria qualified for the 2015 WSRRA Finals on a basis of points won at sanctioned rodeos. She elaborated, "I received ten points at three events this year, and won two, at the Ely Ranch Rodeo and Owyhee 4th of July Rodeo. I won second at the Jake Eary Memorial Rodeo and the Elko County Fair V-L Rodeo. Then I received points at the Carlin Ranch Rodeo. I attended many other Outlaw Broncs produced rodeos and made an appearance at the Yampa River Ranch Rodeo in Craig, Colorado." Victoria says about her background, "I come from a ranching/farming family from Fort McDermitt, Nevada, and I’ve always helped out at the ranches and local rodeos. My dad buckarooed throughout Elko and Lander Counties at Ellison Ranches, PX, YP, Marvel Ranches, and the TS Ranch. I learned to handle a reata –rawhide rope- from my dad, Al. So, a slick horn, culo shots, floating and running my ropes (ah, the sight and smell of smoke) are fun for me and give me a skills advantage. I train my own horses, from the snaffle bit, hackamore, two-rein, to the bridle. I’m living in Elko, Nevada right now, attending college and working, but try to make time to go help the family in McDermitt, as much as I can." "On the ranch, I’ve always taken care of leppy calves, mainly so I could rope them when they got big enough. I had to sell all of my cattle last year to pay for attorney’s fees for a family matter, but I’ve begun building my herd again this year. I’ve always ridden buckaroo saddles made by Spider Teller of Gardenerville, Nevada. As a matter of fact at the 2014 WSRRA Finals I rode my new custom-made 15 1/2” full-floral and roughout seat, A- fork saddle made by Spider. I tell you it made a world of difference in my performance. Previous to that I rode a 16” saddle made in 1996 for my dad by Spider." "Besides dayworking various ranches including the Hot Creek, when needed, I am the Producer/Editor of the Te-Moak News, a tribal newspaper for the Te-Moak Tribe of the Western Shoshone. And I am a full-time student at Great Basin College working toward my Bachelor of Arts in Secondary Education, English. In 2009 I received my Associates Degree in Business from GBC. It just didn’t quite give me as much advantage in the work field as I needed." "Actually, my dad had to bribe me to start roping in the arena in my Sophomore year in high school. Years ago, I didn’t see the challenge in roping in an arena, because my experience roping came from the Pyramid Lake desert, when my Uncle Arlo Crutcher had his ranch. 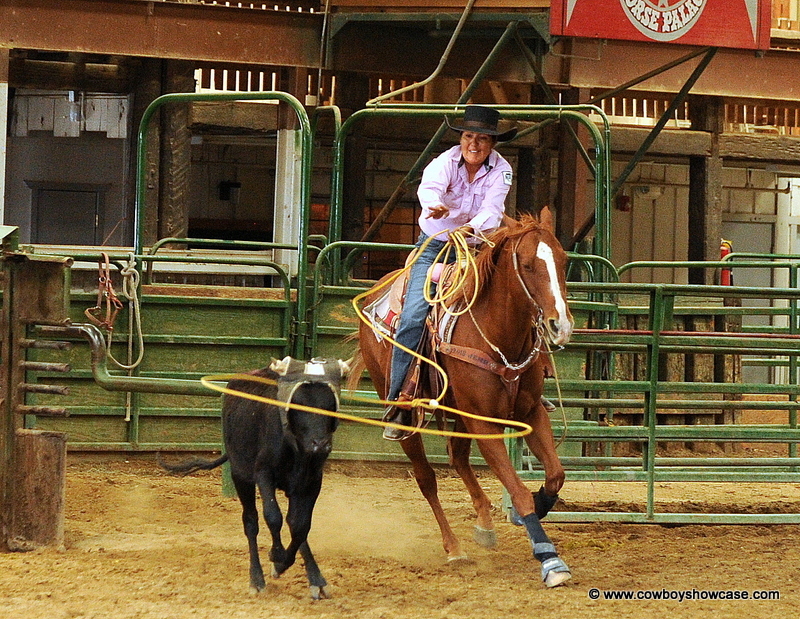 But once I started working at roping in the arena, I was hooked, and find every opportunity to do it. I’m on a break now, because I’ve been battling injury to my wrist late this year. But I find roping in the arena, especially at the ranch rodeos, an amazingly fun challenge that takes a ton of skill to be competitive." Victoria added, "I’d like to thank Cowboy Cordage, Inc., from Idaho Falls, Idaho, for their sponsorship and support throughout the 2015 rodeo season. They have helped me immensely to get through this season." Victoria's parents, Brenda and Al, often travel with her and help at the rodeos as well as supporting her efforts. She also credits her acupuncturist, , Jun Kang, L.Ac, MSOM, from Walnut Creek, California, for being a vital part of keeping her healthy throughout the rodeo season. Victoria's other interests include training her own horses, which often end up in the arena, and some photography on the side. She really enjoys helping high school students develop their horsemanship skills.